Improve your smile with our advanced self administered cosmetic teeth whitening treatment in just 30 mins at either our Bournemouth or Ringwood clinics. Who can undergo the Megawhite Teeth Whitening treatment? 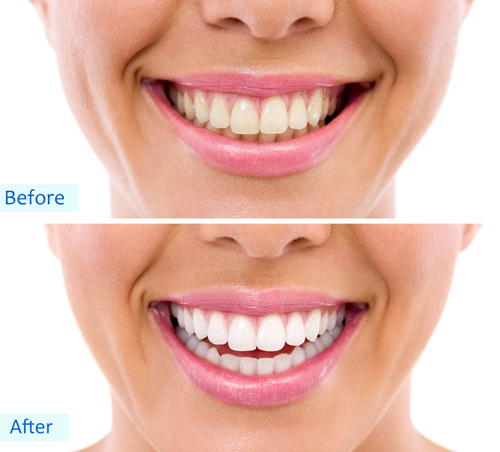 Megawhite produces dramatic teeth whitening results for anyone who wants to whiten his or her teeth. This includes people with teeth that has been stained by smoking or substances such as coffee or tea. It also whitens teeth stained by tetracycline, speckled by fluoride, or hereditary discoloration. Pregnant or lactating women or clients under 16 years of age should not receive the Megawhite treatment. Yes, the Megawhite teeth whitening treatment is safe. We provide a gentle over-the-counter strength non-peroxide-based whitening gel (the ONLY proven safe whitening agent) combined with a light source that removes all harmful UV light and heat before delivering a concentrated beam of light to accelerate the teeth whitening process. 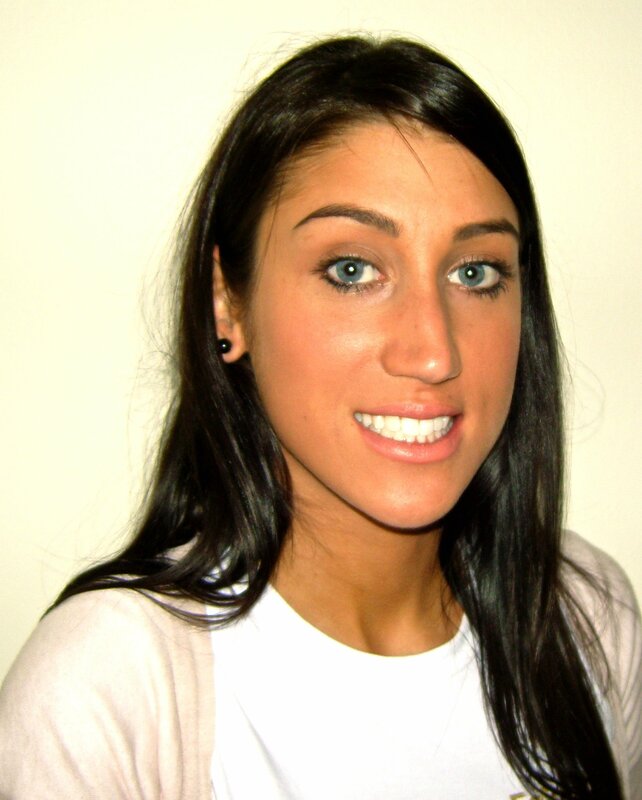 Megawhite laser teeth whitening treatment is a pre loaded tray which is self administered. It is recommended by dentists and there is no sensitivity. The pre loaded tray is purchased and used in house with our laser teeth whitening by the client. Why is the Megawhite treatment 30 mins? The Megawhite teeth whitening treatment is designed to produce long-lasting, dramatic whitening results. Effective teeth whitening requires the combination of a powerful, tailored light source with a specially formulated, quick-reacting, non-peroxide whitening gel exposed to the teeth for 30 minutes. Cheaper systems that combine weak LED lights with a slow-reacting, carbamide peroxide whitening gel and advertise shorter treatment times will NOT provide the same level of quality, long-lasting teeth whitening results as Megawhite. Teeth whitening treatments can only whiten natural teeth and cannot change the colour of porcelain crowns, veneers or fillings. This varies from person to person and depends on your diet and lifestyle, but the effects usually last for about two years. Periodic touch-up treatments are recommended for clients who consume coffee or other staining foods and drinks frequently or those who use tobacco products. You can achieve 14 shades lighter with an average of 8 shades achieved and we guarantee 4 shades lighter. Whitening results can vary by individual depending on the severity and nature of your stains. 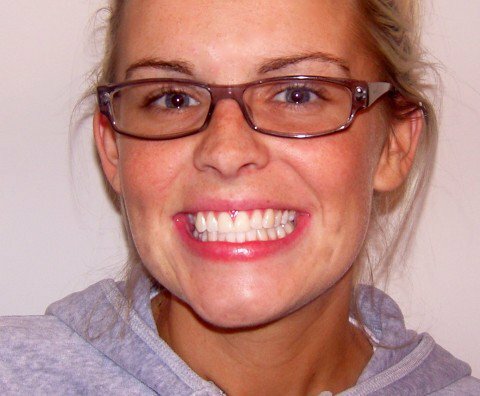 Your Megawhite teeth whitening treatment will be tailored to produce the best results possible. Talking to your aesthetician about your expectations from the treatment will assist them in designing an appropriate whitening schedule to meet your individual needs. Why is Megawhite the best? Megawhite is a simple to use self administered pre loaded tray with a new upgraded blue fusion non peroxide gel used alongside our top grade halogen light source. It’s is an advanced light filtration system. Megawhite emits an intense, pure beam of light to effectively accelerate the teeth whitening process. Designed exclusively for the beauty industry, no other cosmetic whitening system produces the same level of whitening results while ensuring your comfort and safety. As a global leader in the design and manufacture of professional teeth whitening products. Megawhite is dedicated to developing the safest and most advanced technologies for cosmetic teeth whitening. The Megawhite system produces a concentrated beam of high-intensity blue light to accelerate the whitening process. An advanced filtration system removes harmful ultraviolet light and heat, while Megawhite’s specially formulated whitening gel works to whiten teeth, restoring them to a shiny white. In just 30 minutes, stains that have accumulated over the years are rendered neutral in colour and a beautiful, shiny, white smile is revealed. Celebrities love having beautiful white teeth. Check out the fantastic results Megawhite got for Louie Spence, Lucien Laviscount, Nieve Jennings (Former Miss UK), the casts of the Only Way is Essex and Hollyoaks! Gentle whitening gel formula reduces risk of sensitivity! Powerful, halogen light sources produces optimal whitening results! Zero exposure to harmful UV light or heat! I had my teeth whitening done at Resolve clinic in Bournemouth and I was very happy with the consultation and professional advice given. The results were great after smoking for years my teeth looked very good.